Conventional oil is a term used to describe oil that can be produced (extracted from the ground) using traditional drilling methods. It is liquid at atmospheric temperature and pressure conditions, and therefore flows without additional stimulation. This is opposed to unconventional oil, which requires advanced production methods due to its geologic formations and/or is heavy and does not flow on its own. ​Light vs. Heavy - this refers to the density of oil and its ability to flow. Lighter oil can be refined with minimal processing due to higher fractions of light hydrocarbons. Sweet vs. Sour - this refers to the sulphur content of the oil, sulphur must be removed prior to refining. When oil has sulphur greater than 0.5% it is referred to as "sour." Because of these variations, oil quality is a spectrum and the distinction between conventional and unconventional is not always black and white. Generally, however, if traditional drilling techniques are used in the oil production it is considered conventional regardless of its physical properties. Exploration: Geological exploration is a series of technologies that are used by geologists and geophysicists to predict the location and extent of underground oil reservoirs. Drilling: Once a reservoir has been located with sufficient certainty, a drilling rig is used to bore a hole from the surface to the oil reservoir. Piping is then inserted, allowing the oil to be brought to the surface. Some of the oil in the reservoir will be produced using the natural pressure of the reservoir. 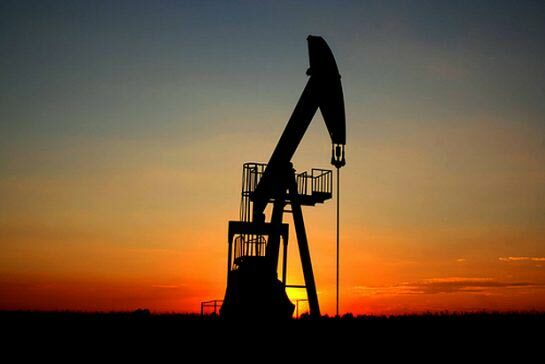 Pumping: Gradually the pressure of the well will decrease as oil is produced. At this point a pump will be connected to allow the remaining oil to be extracted. Abandoning: After all the economically viable oil has been extracted from the well, the well is filled with cement to prevent any hydrocarbons from escaping and a special cap is placed over it to protect the area Alberta Energy Regulator. "Why are Wels Abandoned". 2015. http://www.aer.ca/abandonment-and-reclamation/why-are-wells-abandoned Alberta Energy Regulator. "Why are Wels Abandoned". 2015. http://www.aer.ca/abandonment-and-reclamation/why-are-wells-abandoned Alberta Energy Regulator. "Why are Wels Abandoned". 2015. http://www.aer.ca/abandonment-and-reclamation/why-are-wells-abandoned Alberta Energy Regulator. "Why are Wels Abandoned". 2015. http://www.aer.ca/abandonment-and-reclamation/why-are-wells-abandoned Alberta Energy Regulator. "Why are Wels Abandoned". 2015. http://www.aer.ca/abandonment-and-reclamation/why-are-wells-abandoned Alberta Energy Regulator. "Why are Wels Abandoned". 2015. http://www.aer.ca/abandonment-and-reclamation/why-are-wells-abandoned . Conventional oil tends to be less expensive and complex to extract than unconventional oil due to the routine nature of the production techniques. This oil is also the most valuable in global markets because it requires the smallest amount of processing prior to refining to create value-added products. Consequently, many of our global conventional oil supplies have already been extracted, limiting the availability of these source for future extraction Chestnut Exploration. "Conventional vs unconventional oil". 2015. http://www.chestnutep.com/blog/conventional-vs-unconventional-oil Chestnut Exploration. "Conventional vs unconventional oil". 2015. http://www.chestnutep.com/blog/conventional-vs-unconventional-oil Chestnut Exploration. "Conventional vs unconventional oil". 2015. http://www.chestnutep.com/blog/conventional-vs-unconventional-oil Chestnut Exploration. "Conventional vs unconventional oil". 2015. http://www.chestnutep.com/blog/conventional-vs-unconventional-oil Chestnut Exploration. "Conventional vs unconventional oil". 2015. http://www.chestnutep.com/blog/conventional-vs-unconventional-oil Chestnut Exploration. "Conventional vs unconventional oil". 2015. http://www.chestnutep.com/blog/conventional-vs-unconventional-oil . Generally, drilling and well abandonment are well-understood and regulated processes but there are always risks with such industrial operations. In drilling, pressure must be regulated carefully to avoid accidents and immediate environmental impacts like land disturbance must be carefully monitored. After abandonment, well leaks can occur if improper procedures were taken. As with all fossil fuel production, there are also concerns with greenhouse gas emissions from their combustion United States Environmental Protection Agency. "Global Emissions by Gas". 2015.http://www.epa.gov/climatechange/ghgemissions/global.html United States Environmental Protection Agency. "Global Emissions by Gas". 2015.http://www.epa.gov/climatechange/ghgemissions/global.html United States Environmental Protection Agency. "Global Emissions by Gas". 2015.http://www.epa.gov/climatechange/ghgemissions/global.html United States Environmental Protection Agency. "Global Emissions by Gas". 2015.http://www.epa.gov/climatechange/ghgemissions/global.html United States Environmental Protection Agency. "Global Emissions by Gas". 2015.http://www.epa.gov/climatechange/ghgemissions/global.html United States Environmental Protection Agency. "Global Emissions by Gas". 2015.http://www.epa.gov/climatechange/ghgemissions/global.html .